I have been posting about quite a few african accessory designers lately but It's been a while since we've seen a new collection from Ghanaian designer Ruby Buah. Just when you thought that the designs could not get any better she just released her new handbag collection called" volta".The very chic and sassy collection is all leather with a touch of African print fabric. 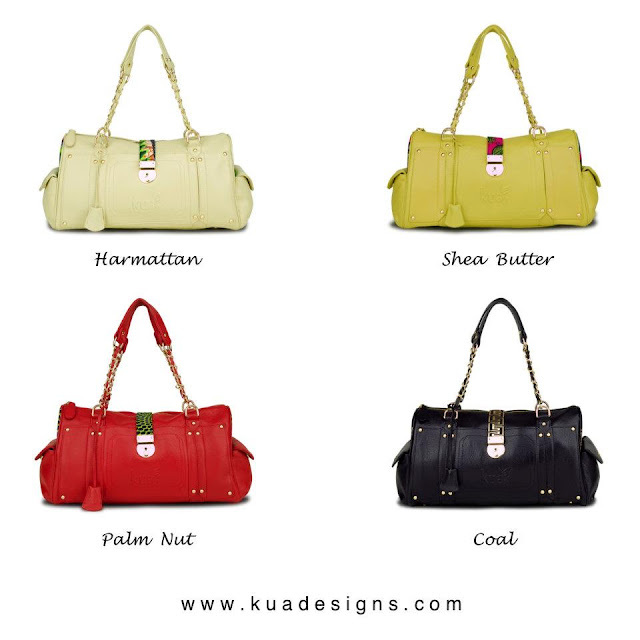 Kua always comes up with amazing ad campaigns what do you guys think? These are lovely. The model is beautiful!